I’m a traditionalist , and one of my pet hates are frozen daquiris – in particular strawberry daquiris. How did a cocktail as noble as the martini become so horrifically dumbed down that the world at large no longer knows what a classic daquiri is? Around the turn of the 19th century in a town in Cuba called Daquiri, migrant mining workers from the US put local limes , rum and sugar together and shook them up. After that , the world was a better place. A simple drink with 3 ingredients – Rum, lime, and sugar to balance. There is no place for a boring or bad rum to hide. The ratio of 2:1:1 ( 2 parts rum : 1 part fresh lime juice : 1 part sugar syrup ) makes it an easy recipe to remember , but a hard drink to master. Every time i`ll , adjust the amount of sugar ( my prefered ratio is 2:1:0.5 ) to match the intensity of the lime to get it just right on the day. In my opinion , the glass is half the drink , and thats very true in this situation. It’s a short drink clocking in at about 110ml and it will look silly in a glass that’s too big. Vintage style 120ml coup glasses are perfect and showcase this drink at its best. In a pinch , use a martini glass. So having said my disclaimer that I`m a traditionalist and i dislike messing with the classics, its not like i don’t like having a bit of fun – and there is no more fun a drink than rum. Clementine juice is now regarded by experts as one of the best juices to showcase a rum due to its balance between bright acidity and orange sweetness. Its fruitiness is also less bombastic than the tropical ingredients more often used in rum drinks , so it lets the rum’s character shine. In the Cape , we have our own version of this member of the soft citrus / mandarine family locally refered to as the Naartjie. Its the perfect choice to keep it classic but put a unique local twist on it. 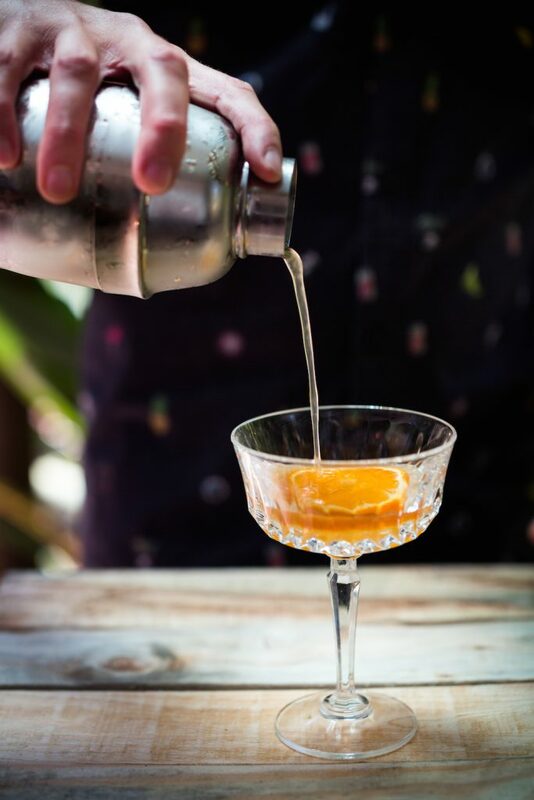 The cacao and dark chocolate notes in the rum link well with the orange citrus notes for a much deeper flavor experience than the bright zestiness of the classic lime version without deviating from what makes the daquiri such a great drink in the first place. Simplicity and perfection itself. Enjoy!